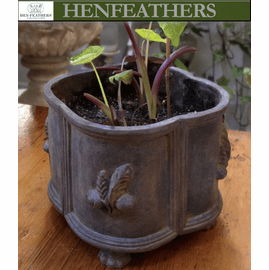 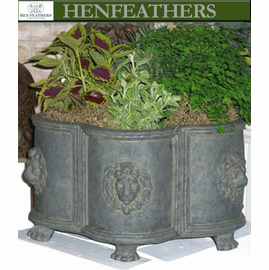 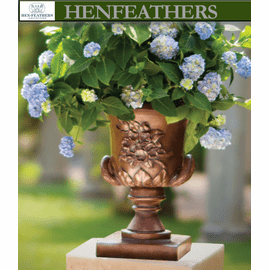 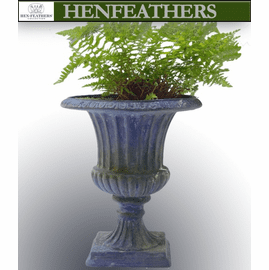 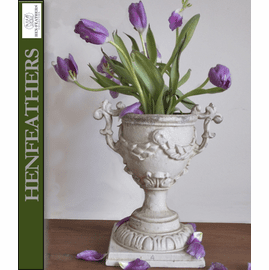 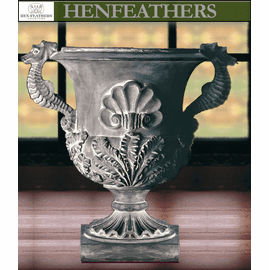 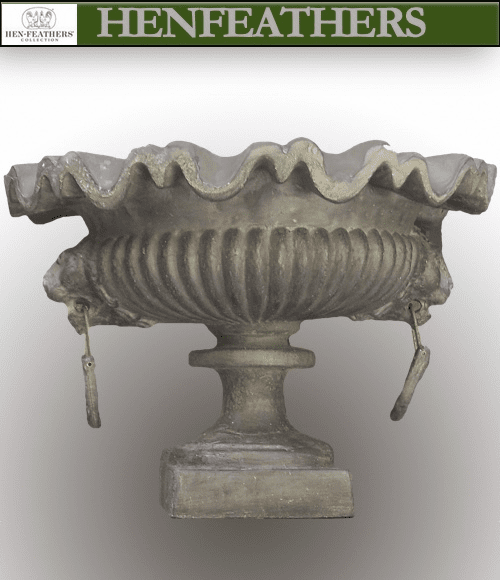 HenFeathers original Elegant French Lion`s head urn shown in Essex lead (EL). 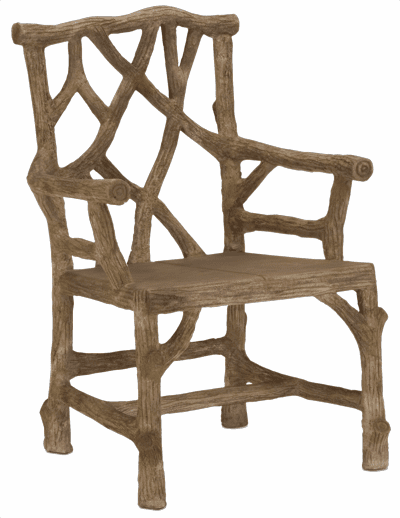 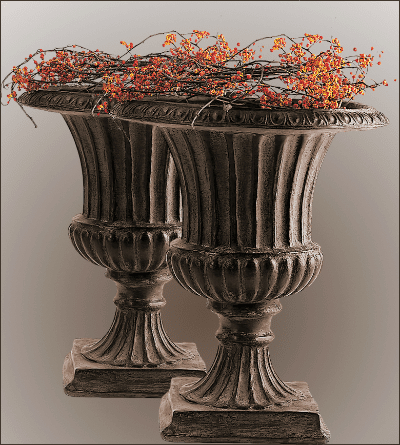 Also available in Vintage Blanc VB, Dover white DV, and Antique aged copper AQC finish. 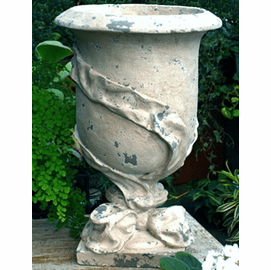 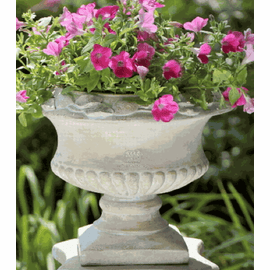 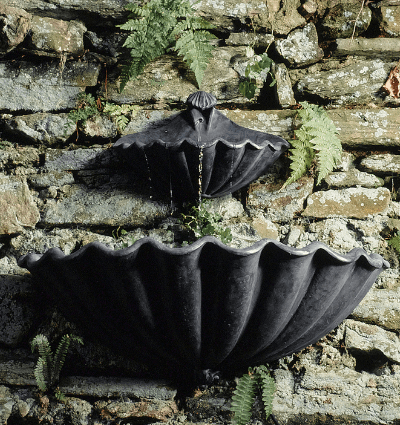 Hand cast and finished in the USA in our very durable bonded marble composition.